The F150 Jet Drive is ready for adventure. Its compact lightweight design allows this incredible 105hp engine to manoeuvre around obstructions with the greatest of ease. In-line 4-cylinder design is quiet, clean-burning and fuel efficient with Yamaha’s famous durability. By using four valves per cylinder with 1 cam for the intake valves and 1 cam for the exhaust valves this DOHC design efficiently exchange intake and exhaust gases for responsive power and fuel efficiency. Valves are activated through direct contact with the camshaft, for more precise valve timing control. Therefore rocker arms and their adjustment are eliminated for increased reliability and less maintenance. Independent fuel injectors are electronically controlled to deliver the precise amount of fuel for each individual cylinder for superior engine performance and maximum fuel economy. Simple, lightweight design for greater precision, reliability and ease of serviceability. The long tube intake tracks are tuned to maximize air flow increasing low end and midrange torque performance resulting in a more powerful hole shot and increased acceleration. The air silencer box reduces intake noise while the surge tank reduces air turbulence for smoother operation. Adjust timing to maintain optimum engine performance, economy and power under all conditions. Along with reliable electronics, including a knock sensor letting the engine self detect combustion problems and adjust itself accordingly before damage could occur. 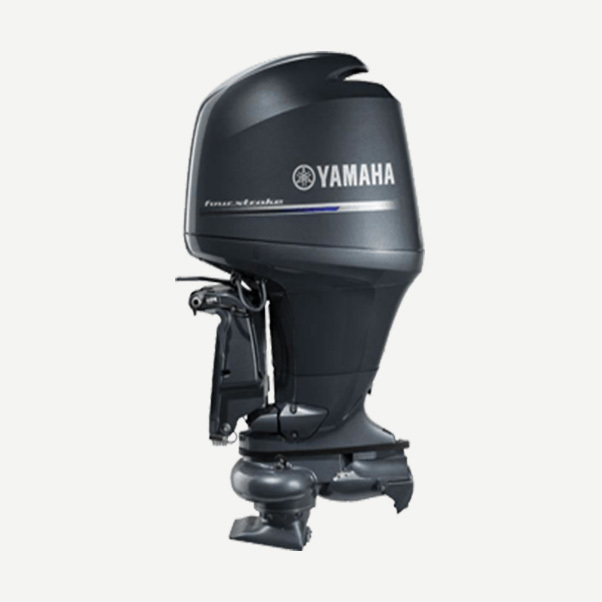 Yamaha’s exclusive YDC-30 alloy is the most corrosion-resistant base material in the industry. Used with Yamaha’s exclusive paint process, it provides an extra-tough barrier against corrosion. They are both key components of our renowned Ultimate Corrosion Protection System. Allows you to flush the engine without running the engine using a standard household garden hose, for added convenience and long engine life. 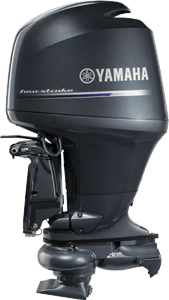 Every Yamaha Four Stroke is protected by our 3-Year Limited Warranty for pleasure use. Yamaha instrumentation puts all vital system information right at your fingertips. You know they’re accurate, because they’re designed for your Yamaha outboard. They’re easy to read, and engineered to withstand the elements. Command Link® Digital Gauges gives you access to more information, using fewer gauges, and they allow you to configure the information any way you want. All control features are located on the tiller handle for convenience. The throttle, throttle friction control, shift lever, key switch, stop switch, power trim and tilt switch. Additionally, the tiller handle is extra long and centre-mounted for added convenience. Allows to adjust the fully tilt-up setting and meet the specific requirements to avoid contact between the engine and the boat.